For the easiest oil changes ever. Need specific fumoto valve (and part number if available) to fit stock MY2003 S2000. What is cost for part and shipment to 44050 zip? Here is the specific product needed for the S2000: Valve with Adapter (S2000, Prelude, '99+ 4cyl Acuras) Honda S2000 Oil Drain Valve  - $33.99 : JS2K.com! Shipping should be $4.00 or so. 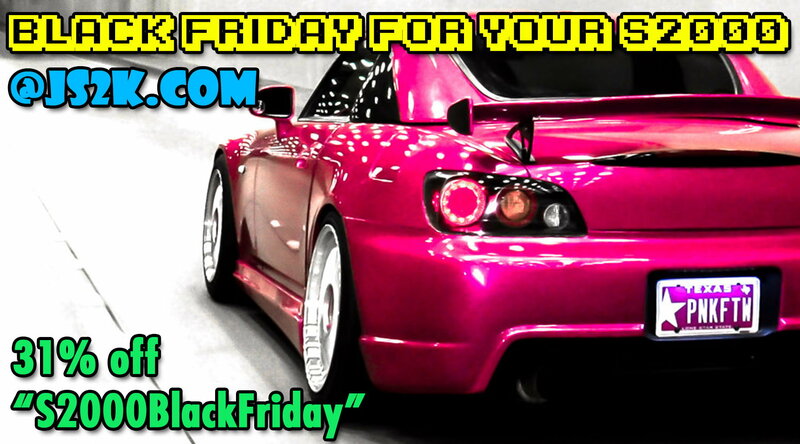 Black Friday for your S2000!!! For all your other cars' LED needs, use "SupernovaBF" on our sister site: SupernovaLEDs.com for the same 31% off. Last edited by JS2k.com; 11-21-2018 at 10:11 AM. Fumoto Oil Drain Valve - Easiest oil change ever!